Office of Student Accounts | Colorado Mesa Univ. The Office of Student Accounts is responsible for student billing, collection of tuition, fees, and other charges, and refunding excess Financial Aid to students. We administer various payment options and schedules (such as the campus payment plan) to ensure bills are paid on time without penalty. For detailed information concerning the various costs and fees a student may incur, please visit our Catalog. We are located in Lowell Heiny Hall (lower level) on the Main Campus. Our main number is 970.248.1177. The Accounting and Financial Services Office operates in accordance with the Family Educational Rights and Privacy Act (FERPA) to ensure student privacy. FERPA provides students who are enrolled in a post secondary educational institution the right to inspect, review, and challenge their educational records. Colorado Mesa University has the responsibility of maintaining and protecting the confidentiality of students' official educational records. CMU also supervises the access to and/or release of educational records of its students. FERPA covers enrolled and former students, including deceased students. 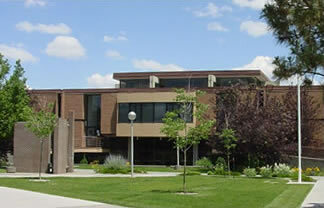 Students who are not accepted to Colorado Mesa University, or if accepted and do not attend, have no rights under FERPA. Full FERPA disclosure. Students can give access to financial information and to make payments by designating parents (or others) as an Authorized User through ePAY. Students can allow parents to inspect and discuss educational records by submitting an electronic Release of Information form through MAVzone. This e-form is located in MAVzone under My Account. Under "Student" select the “Release of Information Authorization” link. Release of Information Authorizations already in place will remain in place until revoked via the electronic method. To revoke a previously authorized party, follow the directions above to the e-form and fill out the revoke access section. Students who designate themselves with Confidential status are only able to conduct business in person on the CMU campus with a valid picture ID or independently through MAVzone. No educational or financial information will be discussed with any persons on the phone regarding a Confidential student.